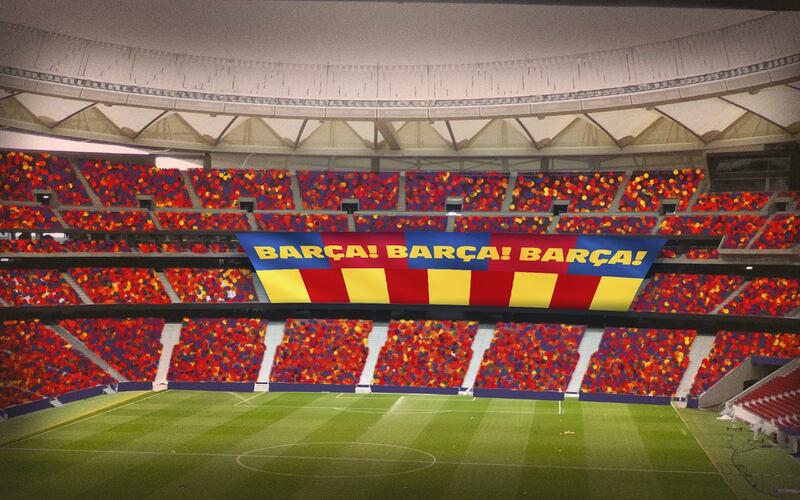 FC Barcelona president Josep Maria Bartomeu has announced that there will be a special ‘tifo’ banner for Saturday’s Copa del Rey final against Sevilla at the Wanda Metropolitano stadium in Madrid. At the book launch for Manuel Vázquez Montalbán. Barça, cultura I esport by Jordi Osúa on Wednesday at the Auditori 1899 at Camp Nou, the Barça president also revealed that the tifo would boast the colours of the Catalan flag and bear the phrase Barça, Barça, Barça, in reference to a famous article by writer Montalbán about the Club from 1969 which discussed FC Barcelona’s importance beyond the football field. At the presentation of the book which takes a look at one of Catalonia’s most famous writers and journalists from modern times and his relationship with the Club, Bartomeu went on to highlight just how relevant today many of Montalbán’s views on the representative nature of Barça still are. With regards to Saturday’s final in Madrid, president Bartomeu continued: “To fans who attend the match, I ask that they enjoy the game and support the team, with fair play, and in a civic and peaceful way. This Board of Directors has always requested that all symbols of identity be respected, in the same way that we like ours to be respected.